On 3 June 2018, the world lost a visionary, a pioneer, who shared the vision of a harmonized global halal lifestyle and worked tirelessly for it to take root across a unified Islamic Economy. 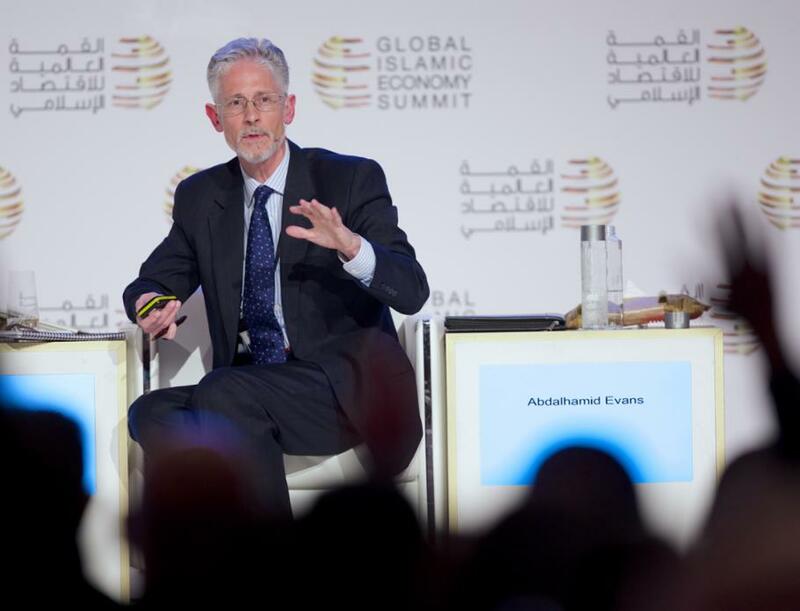 Abdalhamid Evans was a thought leader in the Islamic Economy who spoke gently and knowledgeably and wrote from a clear perspective in a most gifted manner. Born David Evans in New York to British parents, he was primarily raised in the United Kingdom where he was educated and discovered Islam in 1978 when visiting a friend in London who had converted to Islam with other reverts in the early 1970s after their meeting with a noble Moroccan Shaykh in Meknes. 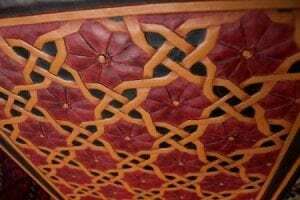 He was given the name Abdalhamid, and returned to the remote part of southern Ireland where he was living at the time, and began telling the people he knew about the Deen. Even though it was very new to him, it established very quickly in his heart because it answered all the questions that had risen while living remotely about fitra. Many of these people also converted and they went to settle in Norwich, Norfolk where there was already an established community of reverts with their own mosque in the city centre. After many years of dawa Abdalhamid and Salama, his wife, made a life change to work in the Halal sector while living in Malaysia in 2003. They settled in Malaysia for seven years to be at the center of the nexus of change and development for the halal movement in Southeast Asia. From there, they travelled extensively to Brunei, Australia, UK, South Africa, the U.S. and Canada inspiring people to bring forward the Halal sector. Some muslim countries saw the step into the Halal sector as a diversification from oil revenue so were ready to hear his vision for Halal. In this time Halal changed from the slaughtering of meat to include travel, clothing, pharma and every aspect of the supply chain. Anticipating the rise of interest in the Islamic Economy, they perceived that more than 20 percent of the world’s population would desire high-quality Halal products and services to meet their Islamic lifestyle needs. After attending a large Islamic Finance conference in Dubai in 2005 the decided they wanted to hold a similar event for Halal with the long term goal of bringing the two industries together. They launched the pioneer Halal conference, World Halal Forum 2006, in Kuala Lumpur, where they convened industry professionals, and presented advanced concepts for expanding and regulating the Halal industry. He went back to the International Islamic Finance Forum in Dubai a year later and presented a paper entitled “Halal food and Islamic Finance—Natural Allies”. It was a very new concept to an industry, though further advanced, was still having its own regulation issues. After leaving Malaysia, they traveled the globe representing their company Imarat Consultants as Halal Consultants, while maintaining an online presence with their HalalFocus website to keep the global community up to date with the progress being made in regulation for the Halal sector. After cultivating relationships with governments, and an array of manufacturers, primary level producers, media experts, and industry giants, they gave their guidance for halal business development, driven by their market intelligence, and the Halal sector started taking root country by country. But it was always essential that the Islamic Finance sector support it with so many SMEs working in the Halal businesses with access to financing. It has taken a long time for people to realise this connection, and it still needs to be fully realized. This sparked improvements in supply chain management, and drummed up interest in furthering the development of products that hardly existed in food, personal care, and medical applications for consumers seeking halal which can now be found on mainstream supermarket shelves. As multi-national companies grew, food processing technology, consumer goods manufacturers, and conventional financing seemed to overpower and threaten the interests of the commo n good. The farm-to-fork concept of wholesomeness and accountability, which was conceived in the 1960s and 1970s by the hippie generation, coincided with supply chain traceability and the current evolution of blockchain application. Abdalhamid carried on to promote the vision of pastural purity and tied it to the essence of the modern Islamic lifestyle and techno-advanced halal ecosphere through his writings and presentations at numerous international venues and newly launched Muslim Lifestyle shows in the UK. After being the Consultant for Halal for the first Global Islamic Economy Summit in 2013 in Dubai, Abdalhamid was witness to his strong recommendation for third party auditing of Halal become a reality in the development of accreditation bodies in both UAE and Malaysia that are today making significant strides in regulating Halal certification for the first time to help bring transparency to Halal products. Abdalhamid Evans, had many talents that few people knew about. 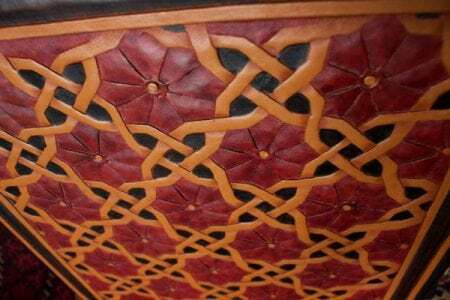 He had done beautiful leatherwork since his time in Ireland which you can see photos of on his fitrablues.com website. 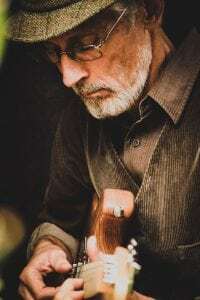 Then, in his 50s he found he had songs in him that needed to be written and played and proceeded with learning how to play the guitar after studying many methods that top guitarists used in the 60s, built his own guitar and started playing and recording songs with deep meaning. One was a tribute to Mohammad Ali who died on the same day as him two years before, because ‘no one has written a song about him, which can be heard on his Heartlands CD on soundcloud/LookingforFitra. The love, honour and respect that people had for him, and the knowledge he gave to each of them individually, has been flooding into his wife’s email from the global Halal community nonstop. Abdalhamid was a creative, a scholar, and a visionary who shared his outlook for a healthier, more ethical and dignified life for all through his writings and eloquent speech. May he be rewarded and blessed for his selfless service to the ummah.